Confronting danger is part of human life. The most acute large-scale dangers have come at moments of great social stress: when land and weather played grotesque tricks on people, when epidemics struck, when invasions devastated accustomed ways of life. Other types of danger, such as crime and hatred, are always there, and exist regardless of events, though events might make them worse. And still other dangers are very highly specific: for example, arbitrary arrest in the Soviet Union was much more likely to befall an innocent person between 1936 and 1938 than before or after. The danger was so great and so defiant of easy understanding that some peasants and workers explained it in the same way they might explain a hurricane or a drought. But many of them also participated in the terror, denouncing comrades or bosses as ‘enemies’ and consigning them to ‘liquidation’. 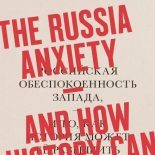 Small communities and whole societies often respond to danger by demonizing individuals and particular social or ethnic categories, whipping up a moral panic, magnifying danger but distorting it, though seldom with consequences such as those that wrecked the Soviet Union in the 1930s. After 1945, Soviet society remained a most dangerous environment. Millions of people were of no fixed abode. Everyone seemed to be searching for shelter, food and employment. Homeless children packed out streets, squares and railway stations. Gutted cities and burnt-out villages were a landscape of crime, disease, bad sanitation, poisoned water, and terrible shortages. The war might have been over, but life was fundamentally dangerous. By the late 1940s, some of the worst dangers had receded. Fewer children were running away from orphanages, so the spectre of the street child was diminishing. People were panicking less about violent crime. During these last years of Stalin, some of the rudiments of social welfare were established — but only in order to facilitate a reassertion of Stalinist goals. Guaranteeing very basic living standards in the most shattered of urban environments made possible industrial acceleration, social control, and socialist advance. And then Stalin died. The post-Stalin ruling order placed a quite different value on individual citizens. Rights became significant, and social welfare policy was transformed. In 1956, pensions and benefits were dramatically expanded; housing became a first-rank priority the following year. Such policies depended on precise calculations about the social risks of poor health or workplace injury, about the chances of surviving to retirement, about demographic developments. Thus did a society governed by danger start to become one dedicated to the elimination of risk. This entry was posted on March 21, 2014 by beyondthekremlin in Russia past and present and tagged Soviet life, welfare state.